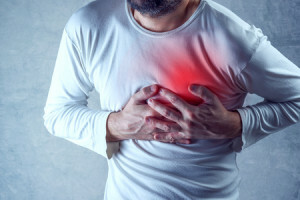 Heart attacks are usually portrayed as deadly events that cause a person to fall down on the floor unconscious, but the truth is that heart attacks usually occur subtly. In fact, many men and women don’t realize their symptoms indicate a heart attack is in progress. Since men and women can experience different signs, it’s important to become familiar with heart attack symptoms and recognize when you need to seek medical attention. The ability to interpret your heart attack symptoms could save your life! Men have a statistically higher risk of suffering a heart attack than women, as well as a higher risk of having heart attacks earlier in life than women. Certain factors like family history of heart disease, smoking, high blood pressure, high cholesterol, and obesity increases the risk even more. With the right care and lifestyle adjustments, you can safeguard your health and hopefully never experience a heart attack at all. Call (941) 747-8789 to schedule your appointment at Cardiovascular Solutions Institute today. The professional team at Cardiovascular Solutions will give you the preventative care and treatment you need to enjoy the benefits of optimal heart health.